Shoulder pain is very common as our shoulder is the most mobile and complex joint in the body. It is important to assess the cause of the shoulder symptoms and appropriate physio treatment. 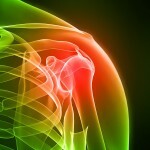 Shoulder pain is not always caused by a problem in the shoulder. It maybe also caused by problems in the neck (referred pain). When should I see a Phyisotherapist for shoulder pain? See a physiotherapist when you are unsure the causes of shoulder pain, or if you do not know of what the treatments and recommendations that can help. What are the physiotherapy treatments that can help shoulder pain? The treatment of shoulder pain will entirely depends on the cause of shoulder problem. All conditions are different, and treatments may differ from each individual.